How creatures are reacting to normal gravity we can see in our daily life. For our investigation something else is interesting: the areas of the force of gravity that are higher or lower than the normal one. What is the effect of this force on the foraminifera? Especially the movement and the growth of the shell are important to us. In space our foraminifera are exposed to “microgravity” – weightlessness. Next to this examiniation of lower gravity, higher gravity is decisive too. To create this “hypergravity” we don’t even have to leave the earth. Do you know the feeling of being in a bus and the driver stops the bus surprisingly so your body is pushed forward? This feeling is established through forces of hypergravity. To create a stabil and constant force of hyper gravity, a centrifuge is used. As you can see in the video, a centrifuge is a machine that rotates about its own axis with a defined speed. 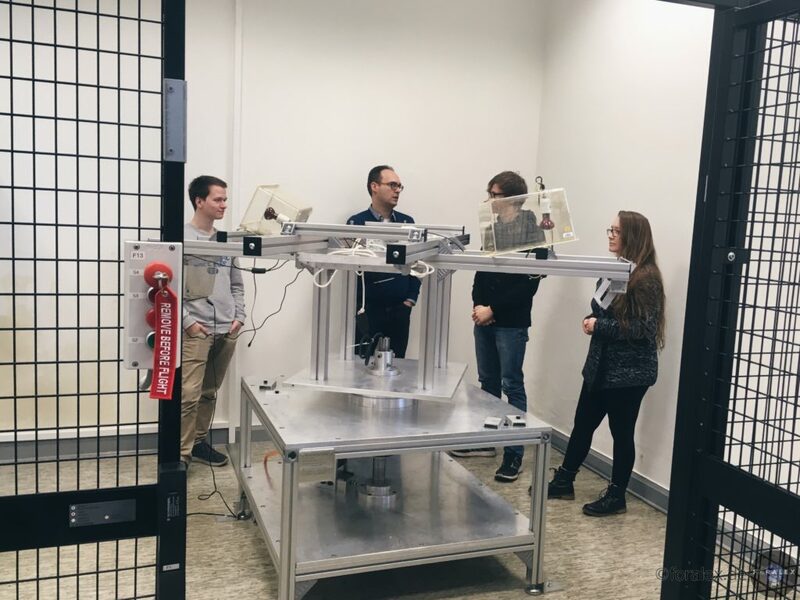 We have the opportunity to use a centrifuge of the Hochschule Bremen – special thanks to Prof. Jan-Henning Dirks, whose centrifuge is at our disposal for our experiments kindly. Normally he is investigating insects, but obviously we are going to investigate foraminifera. We will put them in the centrifuge for several weeks and measure exactly the same data as we do in space (with microgravity). Additionally there is a third control group of foraminifera, that is exposed to normal force of gravity. After collecting the data, we are going to compare and analyze the measurements. That is how we draw important conclusions for our investigation.